Research conducted by the Royal Veterinary College (RVC) shows that French bulldogs are 15.9 times more likely to suffer from difficult births or dystocia than crossbred female dogs. The results of the research, presented in two papers, were published in the official journal of the British Veterinary Association, Veterinary Record. The studies also found that among the female dogs that had problems giving birth, French bulldogs were 2.4 times more likely to undergo invasive caesarean sections than crossbred dogs. This compared to brachycephalic dogs in general, which the RVC researchers found are 1.54 times more likely to need a caesarean compared with their longer-nosed purebreed or crossbred counterparts. According to the first paper (2), 3.7% of female dogs suffer from dystocia. 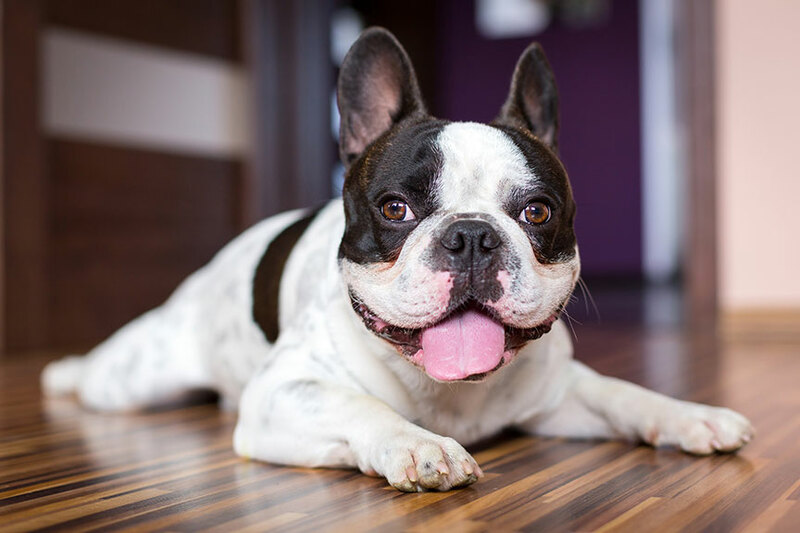 In addition to French bulldogs, other pure breeds, such as Boston terriers, chihuahuas and pugs, are also at risk of suffering birthing problems. Compared to crossbred female dogs, Boston terriers are 12.9 times more likely to face birthing issues, pugs 11.3 times more likely, and chihuahuas 10.4 times more likely. “Recent booms in breed popularity of small-sized brachycephalic breeds such as the French bulldog — UK Kennel Club registrations rose almost 30-fold between 2005 and 2014 — and the pug — UK Kennel Club registrations rose fourfold between 2005 and 2014 — mean that the inherent high dystocia risk for these breeds is compounded by the high absolute counts of these breeds such that the welfare issues are exponentially increased,” says Dr. O’Neill. The American Kennel Club lists French bulldogs among the top 10 most popular dogs in the U.S. In 2017, they were listed as the fourth-most popular breed; in 2013, they were ranked 11th. Read Prevalence of Specific Dog Breeds. O’Neill, DG., O’Sullivan, AM., Manson, EA., Church, DB., Boag, AK., McGreevy, PD., Brodbelt, DC. (2017) Canine dystocia in 50 UK first-opinion emergency-care veterinary practices: prevalence and risk factors Veterinary Record 181, 88.